Windows 10 has a lot to offer to its users, but unfortunately, there might be some bugs here and there. 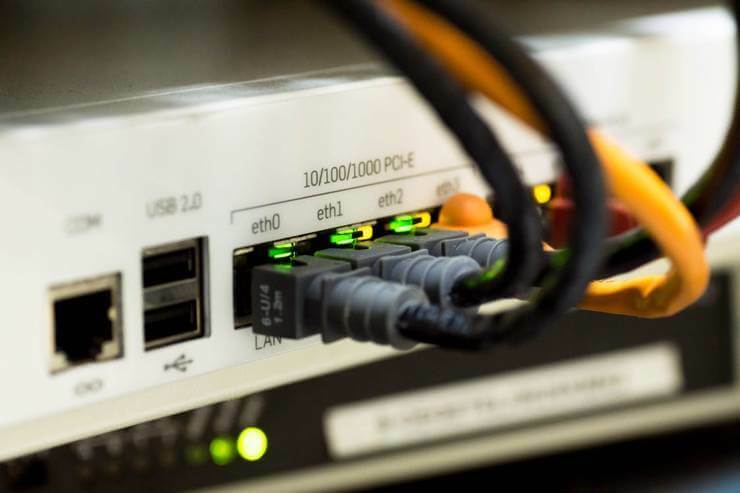 Some users report that they cannot change IPv4 properties in Windows 10, and if you’re setting up a network, that can be a big problem, but there are a few solutions that you want to check out. Network properties not opening – Sometimes you might not be able to open network properties. To fix that, be sure to install the latest updates and check if that helps. 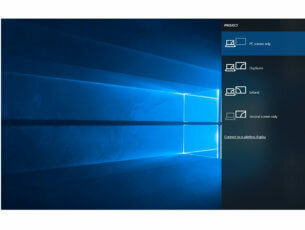 IPv4 not working Windows 7, Windows 10 – This issue can appear on any version of Windows, and even if you don’t use Windows 10, you should be able to apply almost all of our solutions to other versions of Windows. Cannot access IPv4 properties – If you can’t access IPv4 properties, be sure to scan your PC. Sometimes malware can cause this issue to appear, so be sure to perform a thorough scan. IPv4 properties not opening, showing, enabled, available, detected, is disabled – There are various issues that can affect IPv4 properties, but you should be able to fix most of these issues by using one of our solutions. If IPv4 properties aren’t working, the issue might be caused by malware. The problem can be caused by various toolbars and browser extensions, so if you’re using any suspicious extensions in your browser, be sure to remove them. In addition, it’s also a good idea to scan your system for malware. 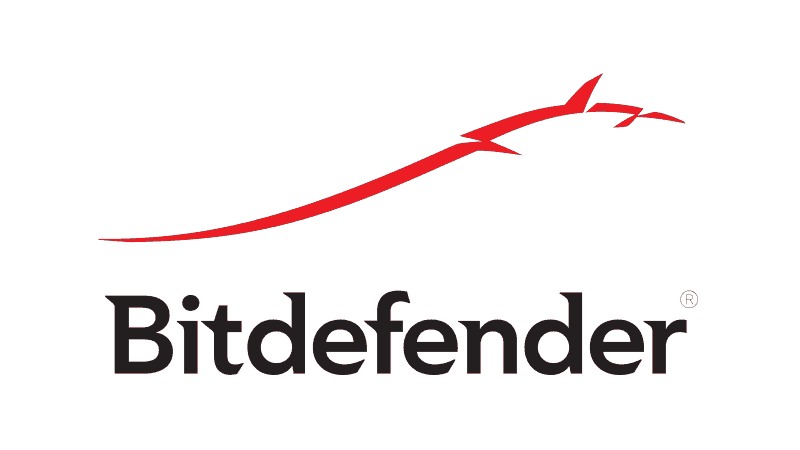 There are many great antivirus tools, but if you want maximum protection that won’t interfere with your system, we strongly advise that you consider Bitdefender. Properties for connections are stored i PBK files, and there is usually one PBK file per user available. To enable IPv4 properties you need to find and manually edit PBK file, so let’s get started. After you’ve found rasphone.pbk it’s a good idea to make a copy of this file and save it in a different folder in case you need to use it as a backup. This is entirely optional, but it doesn’t hurt to be a bit more careful. Right-click the rasphone.pbk and choose Open with. Then select Notepad from the list of suggested applications. After you’ve opened this file with Notepad find the IpPrioritizeRemote and set its value from 1 to 0. Some users advise to also set IPInterfaceMetric to 1, so if changing IpPrioritizeRemote doesn’t work try changing IPInterfaceMetric as well. Now all that you have to do is to save the changes and IPv4 properties should be working as usual. Start Powershell. 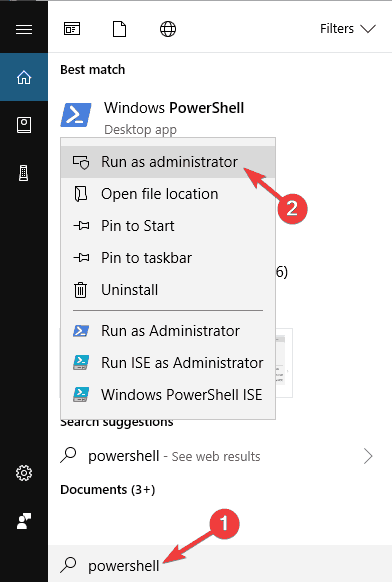 You can do so by typing Powershell in the Search bar and right clicking the Powershell icon and choosing Run as administrator from the menu. Run that command by pressing Enter, and that’s it. Run Powershell as administrator. If you don’t know how to do it, have a look at Step 1 in the previous solution. It’s important to change My Connection to the name of your connection as well as IP addresses. Using the same IP addresses that we used in our example won’t work for you. According to users, sometimes problems with IPv4 properties can occur due to certain bugs on your system. Microsoft is working hard to fix various issues, and they are frequently releasing Windows Updates, so if you want to be sure that your PC is error-free, it’s advised to keep your system up to date. Pres Windows Key + I to open the Settings app. 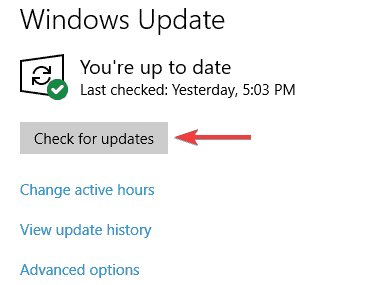 In the right pane, click Check for updates button. 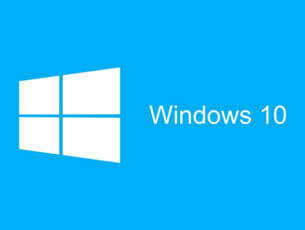 Windows will now check for any available updates and download them automatically in the background. Once the updates are downloaded, simply restart your PC to install them. After your system is up to date, check if the problem is still there. This problem can occur while trying to configure a VPN. If IPv4 properties aren’t working with your current VPN, this might be a good time to consider switching to a different VPN client. 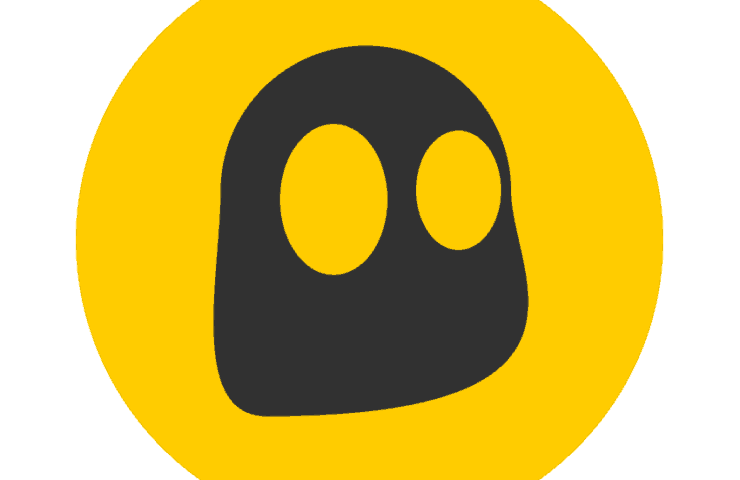 CyberGhost VPN client is fully compatible with Windows 10, and it offers great features, so if you’re having any problems with your VPN, we strongly recommend that you consider switching to a new VPN service. 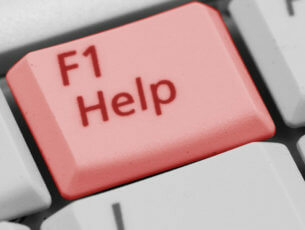 Now look for Datamngr Coordinator service and double-click it to check it’s properties. 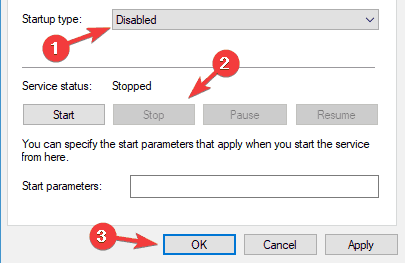 Set Startup type to Disabled, and click the Stop button to stop the service. Now click Apply and OK to save changes. After doing that, check if the problem is still there. Keep in mind that other services, such as Safety Nut Service, can cause this problem as well, so be sure to disable them. According to users, sometimes a third-party application can cause IPv4 properties to stop working. 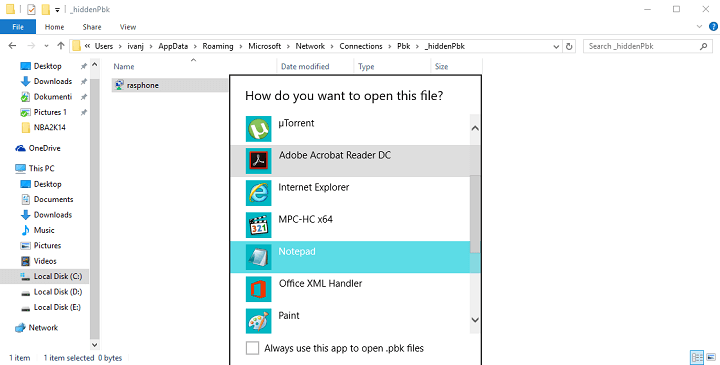 To fix the problem, you need to find and remove this application from your PC. Many users reported that applications such as Aztec Media caused this problem, so if you see any suspicious application on your PC, be sure to remove it and check if that solves the problem. There are many ways to remove a problematic app, but the best one is to use an uninstaller software. In case you’re not familiar, uninstaller software is a special application that will completely remove the selected application, along with its file and registry entries. As a result, there won’t be any leftover files or registry entries that can interfere with your system. There are many great uninstaller applications on the market, but one of the best and simplest to use is Revo Uninstaller, so if you want to remove any problematic application from your PC, we suggest to try this tool. Start Command Prompt or PowerShell as administrator. 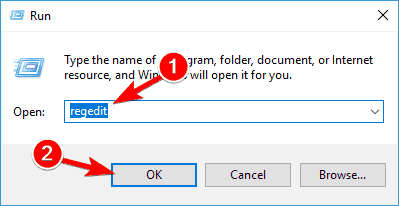 To do that, press Windows Key + X to open Win + X menu and choose PowerShell (Admin) or Command Prompt (Admin). After running these commands, restart your PC and check if the issue is still there. 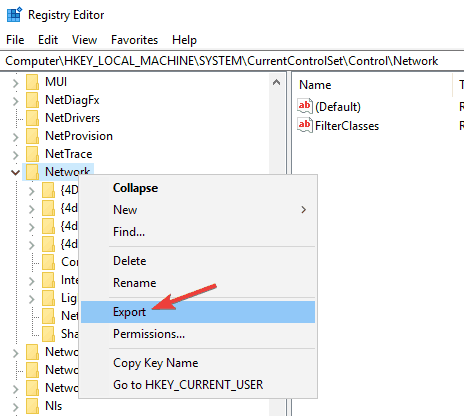 When Registry Editor opens, navigate to HKEY_LOCAL_MACHINE\SYSTEM\CurrentControlSet\Control\Network key. Right-click the Network key and choose Export from the menu. 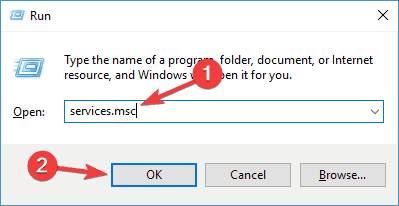 Enter the desired name, choose a save location and click the Save button. If anything goes wrong after modifying the registry, simply run the exported file to restore it. 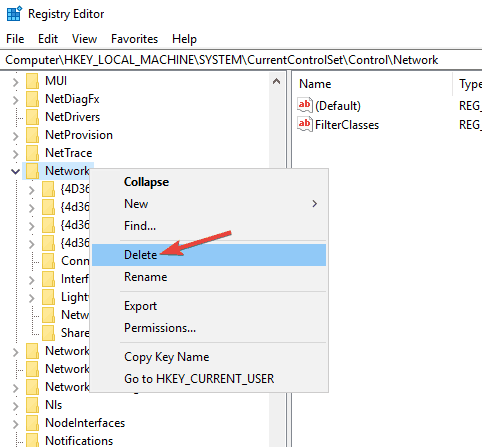 Right-click the Network key again, and this time choose Delete. Click Yes to confirm. After this key is deleted, the issue should be resolved and everything should start working again. We hope that these solutions were helpful to you, and that you have managed to successfully set IPv4 properties in Windows 10. If you have any questions, comments, or maybe some other solutions for this problem, just reach the comment section below.